Authorities had speculated for days about the location of notorious New York gangster Jack "Legs" Diamond, when Legs appeared aboard the Red Star Line steamer Belgenland in the English port of Plymouth on Sunday, August 31, 1930. Alerted by New York police to reports that Diamond was sailing for Europe, British and Irish Free State officials pledged to refuse him admittance to their countries. As Diamond made no attempt to disembark from the Belgenland at Plymouth, law enforcement merely noted his presence on the ship. In the afternoon of the twenty-sixth, New York State Police from Saugerties and Troy raided Diamond's summer home in the hamlet of Acra, about thirty-five miles southwest of Albany. They found only Mrs. Alice Diamond, her friend and the friend's young daughter, a maid and nineteen-year-old errand boy William Warring. Warring told police that Diamond boarded a transatlantic liner in New York several days earlier. 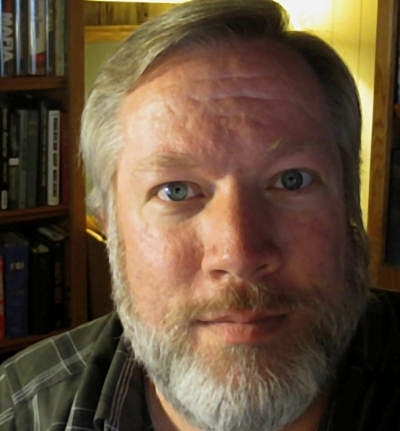 Warring's story was initially considered a red herring, but police checked into it. They found that Diamond had purchased a ticket to travel to Europe aboard the White Star Line's Baltic, scheduled to stop at Cobh, Ireland, on August 31, and then at Liverpool, England, on September 1. The police contacted authorities in Ireland and England and managed to send an image of Diamond using radio and transatlantic telephone. White Star Line contacted the captain of the Baltic, and he reported that no one matching Diamond's description was aboard the vessel. Police had some lingering doubts. 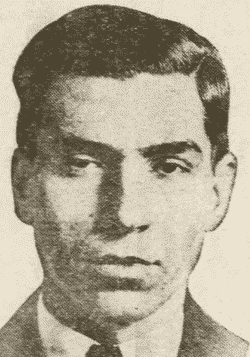 On August 30, the New York Times reported that Jack "Legs" Diamond was aboard the Baltic and accompanied on the liner by four of his henchmen: Salvatore "Charlie Lucky" Lucania later known as Charlie Luciano, Charles "Charlie Green" Entratta, Salvatore Arcidiaco and a man named Treager. The report caught the attention of the Federal Bureau of Narcotics and the pre-FBI Bureau of Investigation. When the Times report hit the streets, the police had already become convinced that Diamond was not on the Baltic. Concerned that his travel plans were known by too many people, Diamond made a last minute switch and boarded the Belgenland, they reasoned. Belgenland left on the same day and from the same location - New York's North River Pier 60 - as the Baltic. It was due to land at Plymouth before proceeding on to Cherbourg, France, and Antwerp, Belgium. While British authorities noted the arrival of Belgenland on the thirty-first and the presence of Diamond, reportedly traveling under the name of Jack Nolan, there was no mention in press accounts of the Diamond companions named in the New York Times. Lucania, Entratta, Arcidiaco and Treager possibly were unnoticed. They may have sailed as originally planned on the Baltic or they may not have made the trip at all (despite the later claims of FBN and FBI). Diamond remained aboard Belgenland until she docked at Antwerp on September 1. As he disembarked, Brussels officials ordered him detained. I do not understand what is going on. I embarked from New York under my own name and not for one moment have I concealed my identity. I wonder who imagined I was traveling under the assumed name of Knowland or Nolan. I left the states to take a rest on the continent where I was years ago. I even have a French identity card dating from my first visit three years ago. It is not my intention to remain in Belgium more than a day or so. I am suffering from my stomach and I want to go to Vichy immediately to cure myself. While Vichy was mentioned to the press, Diamond also expressed an interest in visiting Magdeburg, Germany, and in conferring with German medical specialists about his stomach problems. United States officials believed that his trip was related either to securing a source of high quality liquor for New York bootlegging operations or to establish narcotics supply connections with European pharmaceutical companies. Officials at Antwerp found his travel papers in order and released him. They quickly changed their minds about Diamond and took him again into custody and insisted that he leave Belgium. Because he was found to possess a valid visa for Germany, he was allowed to exit the country at the German border. German police arrested him as he entered that country. The United States embassy suggested to German authorities that Diamond was a wanted criminal in New York. That was not entirely true. While New York police had been looking for the gang leader, they publicly stated that there were no current charges against Diamond. Germany decided that Diamond was an undesirable alien and ordered him out of the country. On September 6, he was driven by detectives to the port of Hamburg and placed aboard the freighter Hannover bound for the U.S.
Three weeks after his return to the U.S., Diamond was seriously wounded by gunmen who broke into his room at Manhattan's Hotel Monticello. Doctors saw little chance that he would survive. But Diamond managed to recover from his wounds and walked out of the hospital before the end of the year. Near the end of April 1931, he was shot several times outside a roadhouse near Acra. Again he recovered. As Diamond was charged with bootlegging offenses that summer, the often-targeted gang leader was referred to in the press as "the clay pigeon of the underworld." The bootlegging case resulted in a conviction and a prison sentence, but Diamond remained free pending legal appeal. Several bullets to the skull, fired as Diamond was asleep in a cheap Albany roominghouse, ended the gangster's life on December 18, 1931. "'Legs' Diamond to be barred from Ireland," Brooklyn Standard Union, Aug. 29, 1930, p. 14. "Asserts Diamond is on the ocean," New York Sun, Aug. 27, 1930, p. 2. "Britons think 'Legs' Diamond is in London," Syracuse NY American, Aug. 31, 1930, p. 2. "Charles Luciana, with aliases," FBI memorandum, file no. 39-2141-X, Aug. 28, 1935, accessed March 2017. "Diamond held upon arrival at Antwerp," Malone NY Evening Telegram, Sept. 1, 1930, p. 1. "Diamond home Catskill raid gives no clue," Albany Evening Journal, Aug. 27, 1930, p. 1. "Diamond in Antwerp detained for checkup," Brooklyn Daily Eagle, Sept. 1, 1930, p. 1. "Germany arrests 'Legs' diamond, American gunman," Saratoga Springs NY Saratogian, Sept. 2, 1930, p. 1. "Ireland will refuse landing to Diamond," New York Times, Aug. 30, 1930. 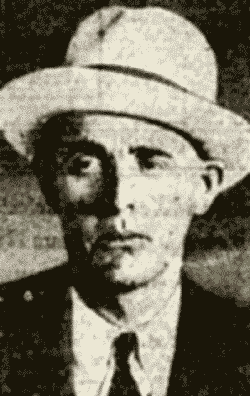 "Irish Free State bans Legs Diamond, New York gangster," Niagara Falls NY Gazette, Aug. 30, 1930, p. 18. 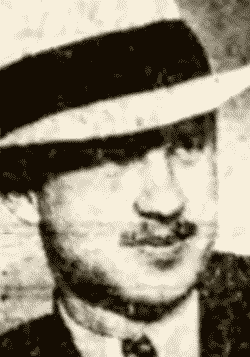 "Jack Diamond shot 5 times by gunmen in a 64th St. hotel," New York Times, Oct. 13, 1930, p. 1. 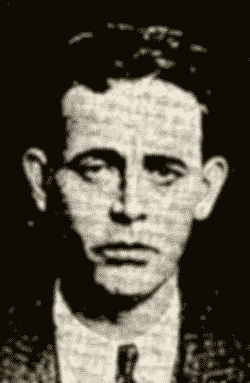 "Legs Diamond hiding out, New York police believe," Buffalo Courier-Express, Aug. 27, 1930, p. 5. "Legs Diamond is now believed to be passenger on Belgenland," New York Sun, Aug. 30, 1930, p. 1. "Sails from Hamburg," Philadelphia Inquirer, Sept. 7, 1930, p. 8. "The four-year sentence...," Boston Globe, Aug. 14, 1931, p. 18. Berger, Meyer, "'Legs' Diamond slain in sleep at Albany by two assassins," New York Times, Dec. 19, 1931, p. 1. Reynolds, Ruth, "And Legs came sailing home," Catskill NY Recorder, Sept. 19, 1930, reprinted from New York Sunday News, Sept. 11, 1930. Legs Diamond: Gangster by Patrick Downey.